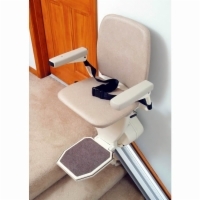 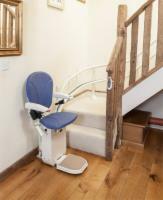 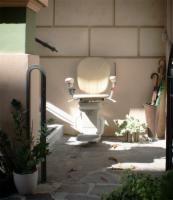 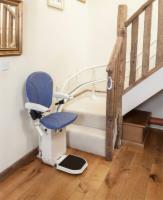 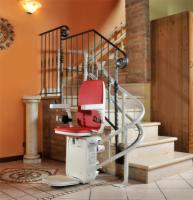 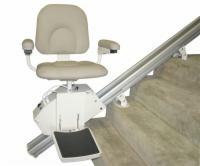 DC-powered stair lifts also plug into an electrical outlet for their primary power source, but are equipped with backup batteries which charge constantly during use. 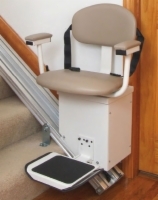 If your home loses power while you are on the stair lift, or you need to move up or down stairs during the outage for safety reasons, the battery will enable the lift to run for a few extra cycles. 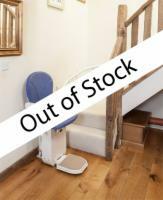 We also offer DC backup cargo lifts as a failsafe solution for moving heavy items between floors of your home!